Create Prize-Winning Competition Prints in Minutes! Do you enter your camera club's competitions? Would you like to? We make it easy to get prize-winning prints...with far less work than you ever imagined. You'll get much better prints and earn more ribbons in your club's competitions. Please call me directly on my cell phone at (954) 536-4290 if you have any questions. Design prize-winning competition prints in minutes! If you'd like to get enlargements that will score higher points...and don't mind working a bit less to create them...please read on! Our ROES program is fast...and easy to learn. This program allows any photographer to create prize-winning competition prints. You'll be amazed at how quickly you'll learn to use ROES...and how many more ribbons you'll win. Our lab's ROES is organized into separate catalogs by paper surface. Choose the catalog with the paper surface that best suits your picture. 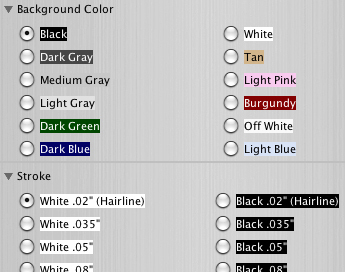 Note: Select a Laboratory Corrected catalog if you want us to correct your color (suggested) or a Studio Adjusted catalog if you'd prefer doing your own color corrections. Click the Competition Prints tab. Select Either Use Our Design Templates or Design Your Own Layout. Use Our Design Templates allows you to simply drag your JPEG camera image into any of ten beautifully designed templates. You'll click on Options to change your borders and the strokes around your picture. Design time is under two minutes! Design Your Own Layout is recommended if you want to simply drag your own Photoshop layout (with its own borders & stroke) into our Open Template (16 x 20 CP). You can also modify (Edit) the picture shape in any of our ten pre-designed templates should you have an unusually shaped picture. 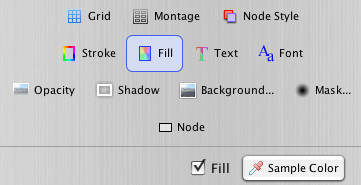 The difference here is that you'll be using Pager tools rather than Options to change your border (fill) and stroke. 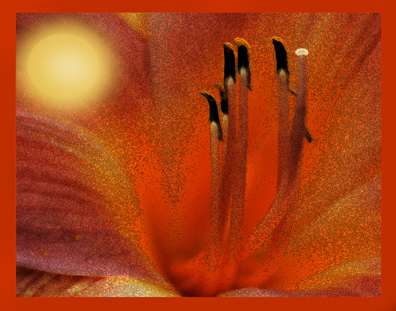 Sample Color allows you to bring a color from your picture into your border or stroke...for a very impressive effect! Design time is from one to ten minutes! Should You Choose Lab Corrected or Studio Adjusted Color? Laboratory corrections are recommended for both novices and advanced amateurs for club competition. You want your color and density "dead on"...and that's exactly what we'll give you! First, we color correct your image on a fully calibrated monitor (as you would). Second, we make a test print. Finally, we correct that test print after a visual evaluation under competition lighting. Then, we make the enlargement. If your print isn't perfect it is reprinted with an additional correction. So, you are assured of great color. Studio Corrections...where you do the corrections... are suggested only if you have the skill sets necessary to do accurate color corrections and are using a monitor calibrated to match our printers. Doing your own color corrections gives you complete control over the creative process. It is also a great way for you to save money. We save technicians' labor and pass the dollar savings on to you. 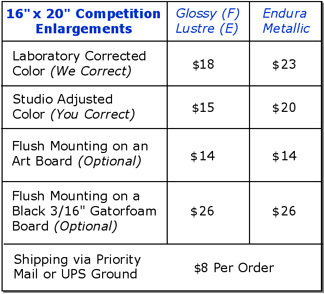 Competition prints require that you specify your lighting conditions. Judges in professional and national competitions view prints under extremely bright lights. So, professional prints must be made far darker and more contrasty than prints that will be viewed under normal room light. Most camera club competitions are conducted under "normal" room lighting. That's because amateur competitions are held in libraries and other meeting halls and most clubs don't use bright floodlights. So, be sure to check our Option box to indicate which lighting you will be exhibiting under. Many photographers prefer to do their own mounting. Others would rather have us give them a competition ready print mounted. Please check your club's competition rules for mounting requirements. Use Options (in ROES) to communicate your mounting preference. Shipping: Next day delivery via UPS Ground in Florida. Priority Mail takes 2 - 3 days anywhere in the U.S. Most camera clubs permit any size print up to 16" x 20". So, you may wonder why we've made 16" x 20" our competition print standard. From a competitive standpoint "bigger is better." In spite of what you hear, 16" x 20" prints will outscore 8" x 10" prints nearly every time. Pictures enlarged to 16" x 20" are also better for your club's displays around your community. If you prefer smaller prints we'll be happy to make them for you. 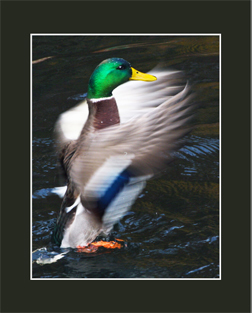 At $1.99 our 8" x 10" prints are a real bargain. They're also in an entirely different class than prints from retail stores. Our goal is simple; to make your photographs...and you...look good. Please telephone us if you have any questions. Our entire staff is always available to help you in any way we can. P.S. Many photographers have found our Monitor Calibration Chart to be very useful. We'll be happy to provide you with a complimentary print of the chart. Please click here to download our chart. It's free. Might we ask a favor? Could you forward this email to any friends who you think would benefit from our easy-to-use Competition Print service. They'll thank you...and so will we! 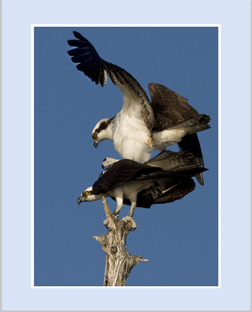 Melvyn Hurwitz of the Coral Springs Camera Club, Florida for his bird pictures. Melanie Hurwitz from the Coral Springs Camera Club for her "In the Desert" digital composition.